This recipe was adapted from ChoosingRaw.com’s Holiday macaroons. I highly recommend exploring her site for some great recipes and ideas! 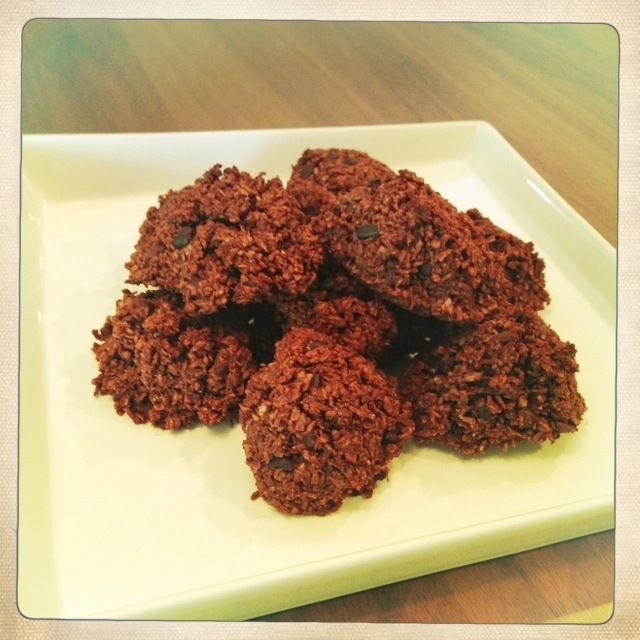 1) Place coconut, almond meal, cocoa powder, espresso, and nibs in a large mixing bowl. In another bowl, whisk together date paste, oil, vanilla, and salt. 2) Pour wet ingredients over dry, and mix thoroughly until dough is uniformly sticky and clumps together easily. If you need to, add a little more date paste. 3) Scoop in tablespoons onto a cookie sheet (lined with foil for easy clean up). Put in the oven at 325 degrees for twenty minutes or so, then allow to cool in a fridge thoroughly. To make these raw, scoop the dough onto a dehydrator tray lined with Teflex and dehydrate at 115 degrees for about 6-8 hours (6 is probably all you need). These come out with a rich, bitter chocolate taste. If you don’t want them as bitter, you can make them without the cocoa nibs. I personally love the crunch they add though. And just think of all the antioxidants you’re getting from the raw cocoa and coffee! So good for you and your sweet tooth! 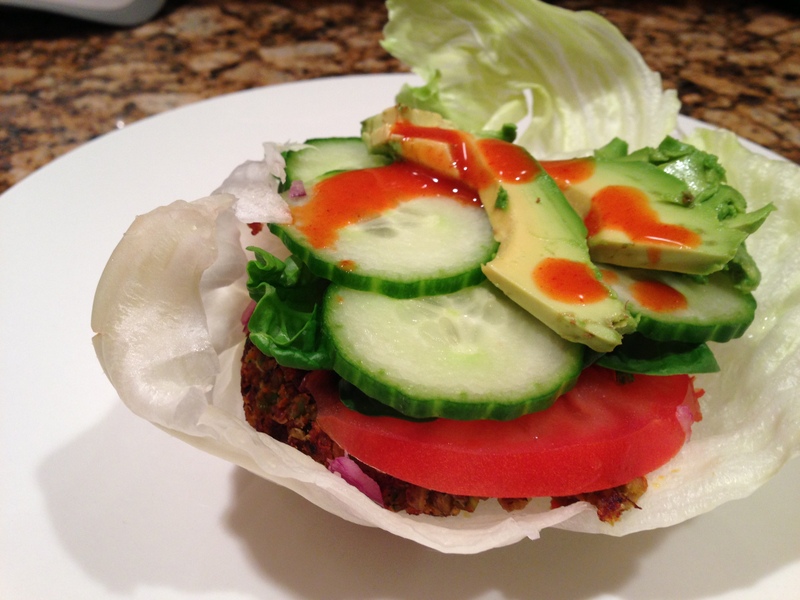 A great vegan, gluten-free burger patty that you can eat on a bun, wrapped in a lettuce leaf, in a burrito, or on a salad. Enjoy fresh or freeze for easy meals later. Heat half the oil in a pan over medium heat. Sauté onions and garlic until they become somewhat translucent. In a large food processor, blend all the ingredients until it sticks together well. Put in a bowl and refrigerate for about 10 minutes. 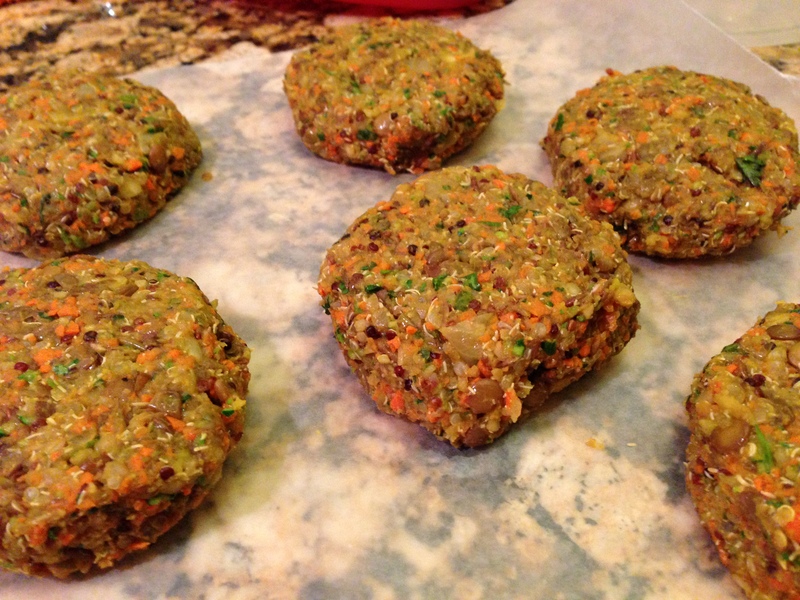 With clean hands, form patties and place on wax paper. To enjoy now, heat oil in pan on medium heat. Cook on each side until browned, about 10 minutes. To enjoy later, layer between wax paper in a Tupperware and freeze away.